There is a new king of online games. Counter Strike, Dota 2, and League of Legends have all made way for the Battle Royale, a term now more popular on Google than “MMO”. People all across the world are suddenly jumping into violent and explosively thrilling world of Battle Royale. But why? What makes this new genre so popular, and more importantly - how will it change online games? A Battle Royale is a fight between many different people until only one fighter remains standing. A sort of free-for-all. There is no designated group, and the combatants can use everything in their disposable to achieve victory. Think Hunger Games, and you pretty much got it. The term Battle Royale became popular in the west with the publishing of a Japanese novel by the same name, written by Koushun Takami in 1999. The story follows a group of students that have been kidnapped and transported to a private island off the shore of the Japanese mainland. There, each student must survive until they are the last one left alive. The most widely known form of the Battle Royale story is, however, the 2000 film adaptation directed by Kinji Fukasaku, starring the legendary Takeshi Kitano. The film would come to be the direct influence for PlayerUnknown’s Battlegrounds (PUBG) - the most famous Battle Royale game today. The talented modders AntVenom and SkyDoesMinecraft laid down the groundwork for the first successful and official Battle Royale game. From then on, modders in the ARMA community began bringing about varyingly successful Battle Royale mods. One such ARMA modder was Brendan Greene, who went by the online handle PlayerUnknown. 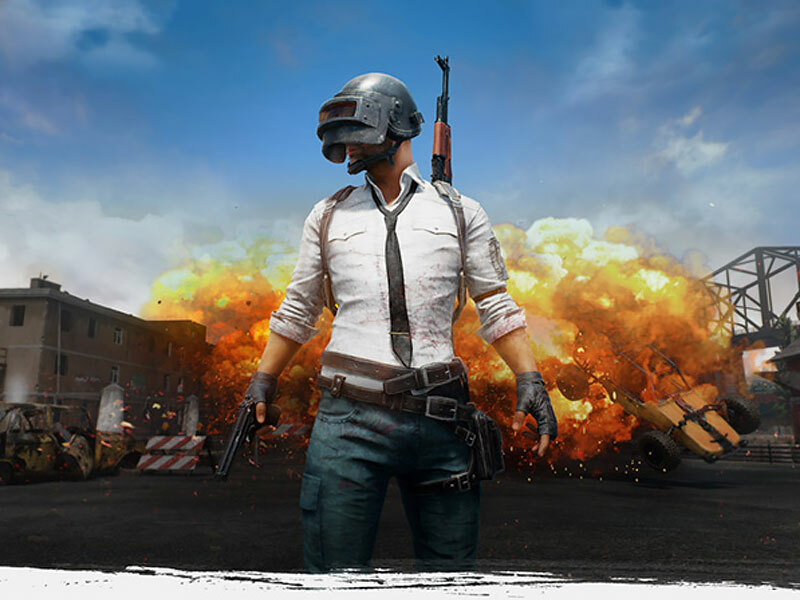 Greene would join the Korean publisher Bluehole to develop and release PlayerUnknown's Battlegrounds, more commonly referred to by its 3 million concurrent players as “PUBG”. PlayerUnknown's Battlegrounds is the perfect lens through which to examine what makes a Battle Royale game. A typical round of PUBG commences with around 100 players parachuting down into a large island, which seems to be somewhere off the coast of Eastern Europe. Players can group up in teams of 4 or 2, or choose to play a pure, last man standing Battle Royale - with only a single victor emerging out of the 100 players. Once on the ground, players must continue to scavenge for weapons, armor, and healing items. They must also find vehicles - not only to get from one spot to the next - but to stay within the Safe Zone. The Safe Zone is contained within a gigantic circular blue cone of sizzling plasma, which continues to shrink as time progresses and more players are killed. As the battleground shrinks, players are herded closer and closer together until the explosive finale. The last team, duo, or individual left alive wins. This simple formula is the basis of Battle Royale games: a large group of equal players, a huge map that slowly shrinks over time, and scarce guns and ammo. Valve’s MOBA DotA 2 has held the previous record of the highest number of concurrent players with 1,291,328 in 2014. PlayerUnknown Battlegrounds managed to top that figure on September 16th, with a concurrent player base of 1,348,374. Since then, the game has reached over 3 million concurrent players in December 2017. Naturally, when a hot new phenomenon appears, developers will often try to emulate it and improve upon it to become even bigger. PUBG has revolutionized the online gaming world to the point where other titans in the online gaming industry have begun emulating its current and modifying upcoming titles around the Battle Royale concept. Let’s look at the most successful adaptations of PUBG to see how Battle Royale games are taking the genre to the next level. Fortnite is developed by Epic Games and People Can Fly, and was released shortly after PUBG, in July 2017. Unlike PUBG, which does not really have a plot or actual setting, Fortnite presents a world where apocalyptic storms snatched away all but 2% of humanity. The survivors must now unite and survive against zombie-like monsters. The original title was relatively successful, hitting the 1 million player milestone about a month after its release. However, it was the standalone mode Fortnite Battle Royale, released in September 2017, that pushed Fortnite to the top, with 10 million new players is just two weeks. 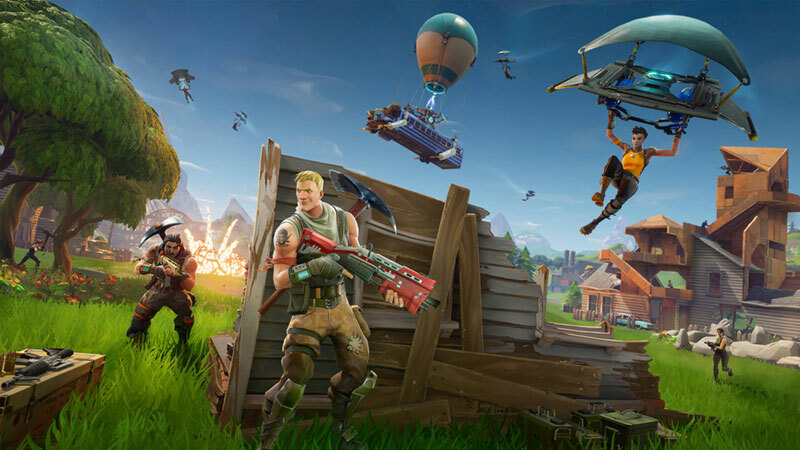 Although the mode is very clearly emulating PUBG, the addition of Fortnite’s ingenious crafting and building system introduces an intelligent and very creative spin on the traditional looting, surviving, and fighting formula of the Battle Royale. Remember that impressive 3 million concurrent players record PUBG holds? Well, Fortnite recently broke that record with 3.4 million players, making it the biggest Battle Royale game to date. Before the monumental success of the Battle Royale genre, “Hero Shooters” were the latest trend in online gaming. Games like Overwatch and Team Fortress 2 brought teams of specialist champions to face off against each other in objective-based rounds centered in arenas filled with health packs and power-ups. Each player had a role, and everyone had to work together intelligently and strategically to come out victorious. While such games are still hugely popular, many developers and publishers have realized that the lion’s share of consumer attention has indeed shifted towards the Battle Royale trend. As a result, they have begun incorporating the Battle Royale into their game modes. One such game is Paladins: Champions of the Realm. 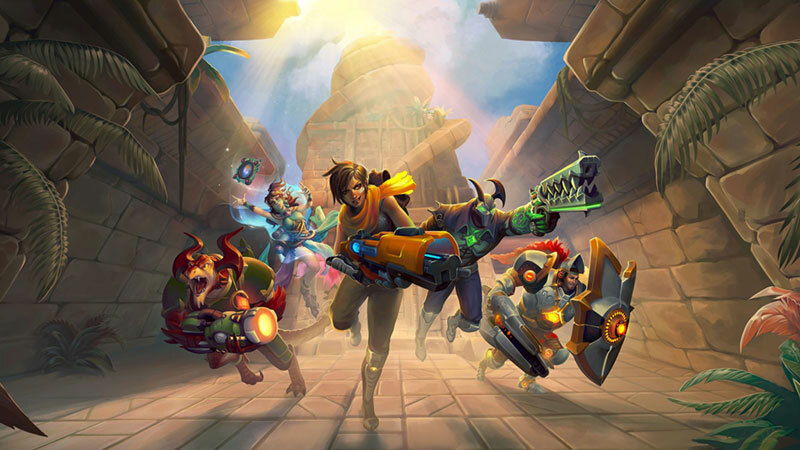 Paladins developer Hi-Rez Studios recently announced the latest addition to its free-to-play title: Paladins: Battlegrounds. As the name suggests, the traditional gameplay of Paladins will be receiving a Battle Royale makeover. From what has been released so far the Battlegrounds mode seems to borrow very heavily from PUBG. We have seen the looting of various buildings, scrambling for rare gear dropped in care packages by zeppelins, not to mention the always-shrinking safe zone. As you can see - especially if you have been playing PUBG for a while - this new installation already sounds like PUBG with a Paladins skin and characters. 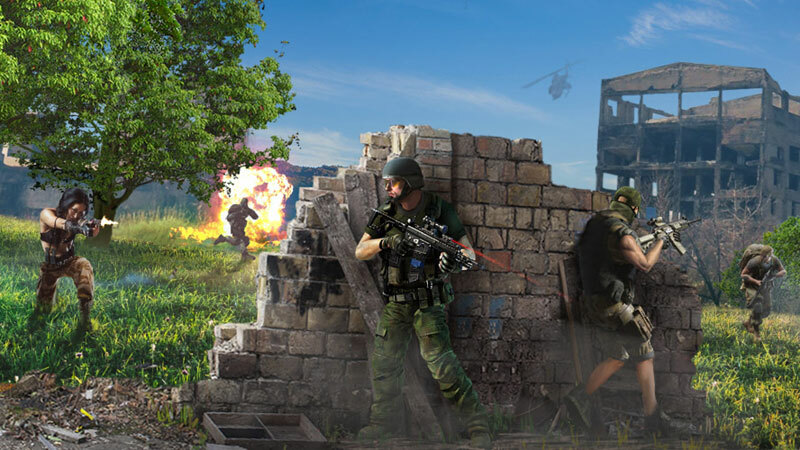 The mode’s title, Battlegrounds, is also an unabashed reference to the flagship Battle Royale. That being said, it will be amazing to see how different heroes are pitted against one another in open survival combat. Since Paladins is a Hero Shooter, each hero has distinct abilities and weapons, and therefore plays differently than the others. That means players don’t start on equal footing, which shakes up the familiar Battle Royale formula. Will MMO Games Join the Battle Royale Trend? By now, it's clear to see how online games are changing and evolving in order to stay relevant in a world dominated by Battle Royale. But is the same true for MMO games? Expert analysts in the MMO world mostly agree that in early 2017, ingenuity and originality in the MMO realm seemed to be dwindling. While the titans like Counter-Strike, Dota 2 and World of Warcraft continued to produce marvelous content, it cannot be denied that many people were starting to feel that things were getting a little bit stale. In other words: The world of MMOs and online games has come to a creative standstill. But now, thanks to the interesting fusions of game mechanics and styles brought about by games like PUBG and Fortnite, MMO and MMORPG games are experiencing a curious phase of transition. Developers are enhancing their titles with new Battle Royale content, and new games with Battle Royale systems keep coming out. However, many popular MMOs seem to remain unaffected. But when players demand originality and newfound thrills, these games risk being left behind. The Battle Royale formula is so easy to implement, and there’s still so much of this new genre to explore, MMO developers would be throwing away an almost surefire success if they choose to sit this one out. Will we finally see a proper Battle Royale MMO? Can this subgenre even work as an MMO? It’s easy to imagine Counter-Strike introducing larger maps with more players in order to facilitate a proper “PUBG experience”. But what about a game like World of Warcraft? Many MMOs already have epic “Player vs. Player” arenas that might be perfect for combat on a larger scale, but there are still plenty of issues to overcome. Most of them are the same issues that pop up when MMO games try to become Esport titles. Statistically speaking, we can very easily tell what an overwhelming majority of players greatly enjoy - being the “last man standing”. Developers need to pay heed and do what they can to associate their games with this new trend if they hope to be a part of the new wave of online games in 2018.